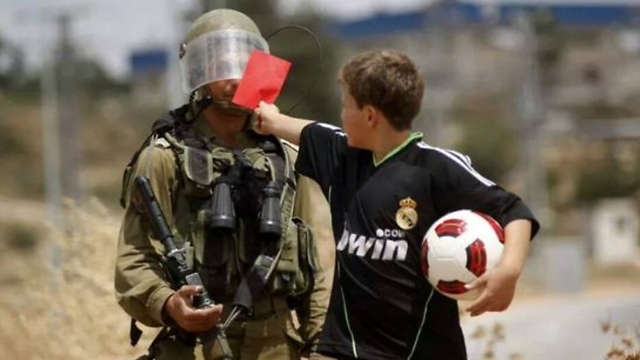 Red Card Israeli Racism commends the Palestinian Football Association (PFA) for its laudable effort to boost FIFA’s commitment to human rights at today’s FIFA Congress. The PFA proposed amending FIFA’s Statutes so as to make football associations subject to serious sanction in the event that they fail to respect internationally recognised human rights. The PFA amendment would have brought FIFA’s statutory commitment to human rights into line with its similar commitment to tackling discrimination on unjust grounds. RCIR condemns FIFA’s venal leadership for opposing this eminently reasonable measure. The reasons advanced by FIFA Council – that the amendment was unnecessary and would have adverse legal implications – were misleading and without substance. Unfortunately FIFA Congress operates largely as a rubber stamp for the organisation’s leadership. It was therefore inevitable that most of the assembled delegates would treat the Council’s recommendation as an instruction to vote the PFA’s proposal down. In forcing the failure of the proposal FIFA has displayed the same cynical disregard for matters of principle that led the renowned human rights experts Navi Pillay and Ron Popper to resign from the organisation last year. That cynicism was amply demonstrated when the Council blocked action against the Israel Football Association for the latter’s sponsoring of football in illegal settlements. Today’s shabby proceedings indicate that FIFA’s human rights policy is indeed “a nice slogan” that will not be allowed to interfere with its abundant cronyism and deference to powerful political actors on the world stage.